Located along the coast of the Arabian Gulf, Dubai was earlier renowned largely for its oil industry, but the scenario has changed in the last 2 decades. Dubai is now a global city and a popular business hub at par with western nations, due to its diverse business model that drives the economy in the region. 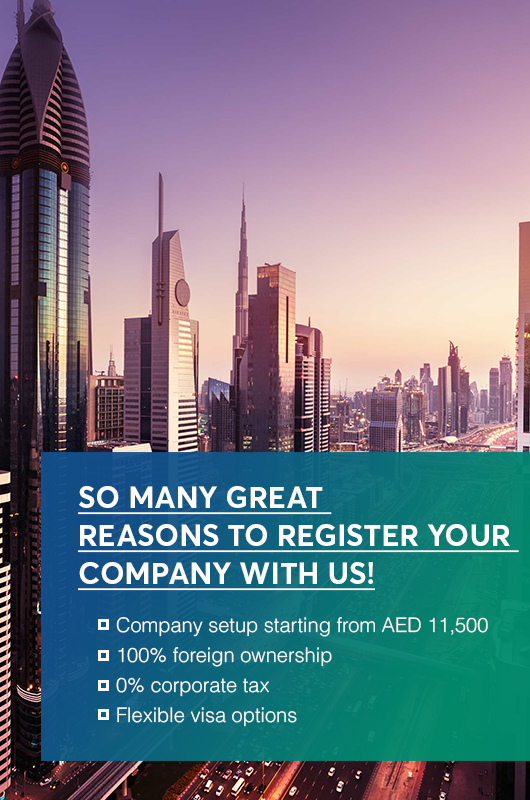 In order to attract foreign investment and empower the economy, free zones have been setup in Dubai, that reward foreign nationals with lucrative incentives for setting up their business in the Emirates. Free zones are the most favourable locations for business setup equipped with state-of-the-art infrastructure, duty and tax exemptions, world-class business amenities, flexible government policies, and unmatched facilities.